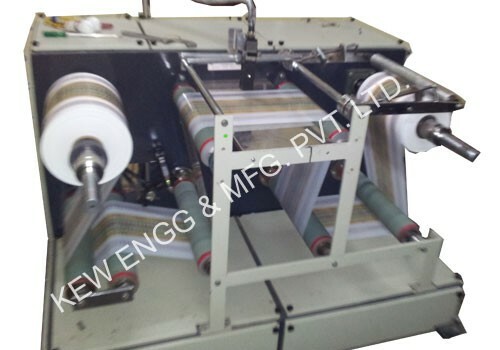 Winding Rewinding Machine With Inkjet Printer | KEW ENGG. & MFG. Specialized manufacturer high performance Winding Rewinding Machine With Inkjet Printer. An ISO 9001:2008 approved company offers converting heavy duty products for Inkjet Printer. Winding Rewinding Machine for widely used in leading flexible packaging industries for printing Exp. Date, Mfg. Date or Batch No.